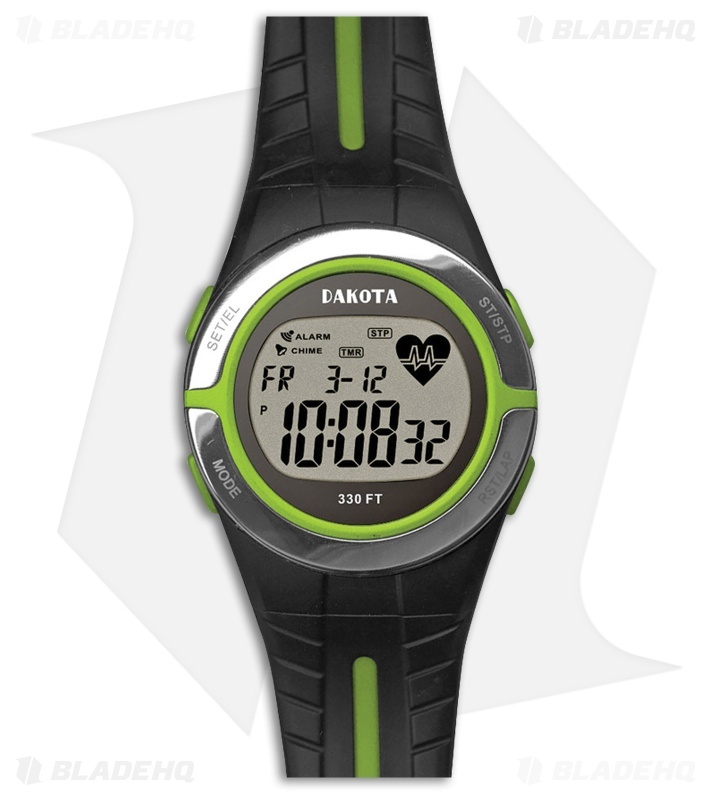 The Dakota Monitor is a watch that will work whether your running in a marathon or running away from a bear with the heart rate monitor. 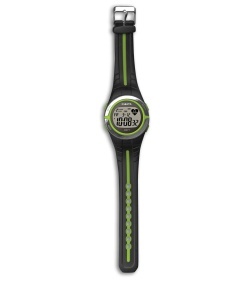 Personalize this watch with your gender, age, height, target goal, resting and upper heart rate. Features include things like: measuring pulse, lap record, dual time, digital display, moonglow light, stopwatch, countdown timer, hourly chime, lap memory, anti-static and shock proof case. 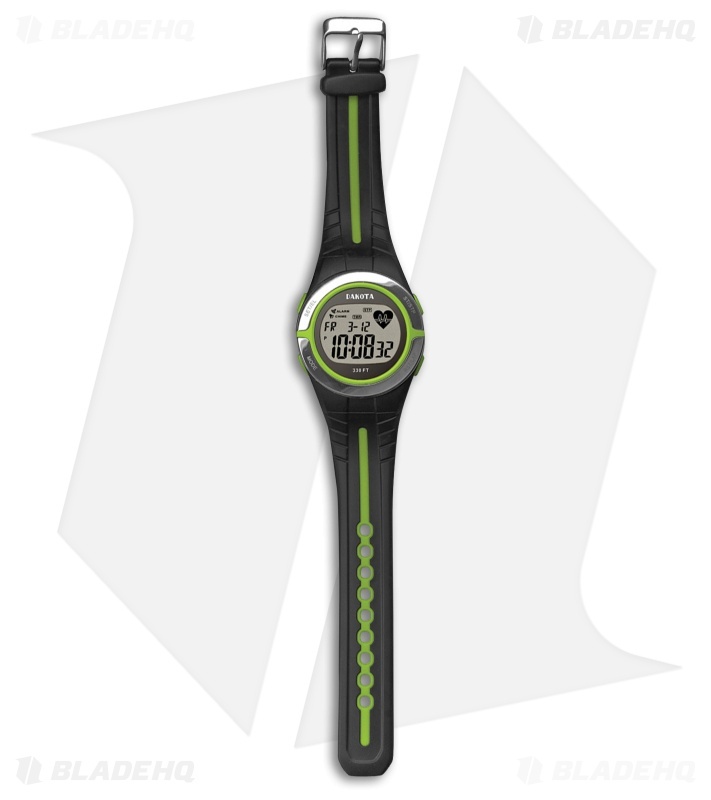 Carry this watch everywhere you go to keep track of your exercise with the 18mm PU band.